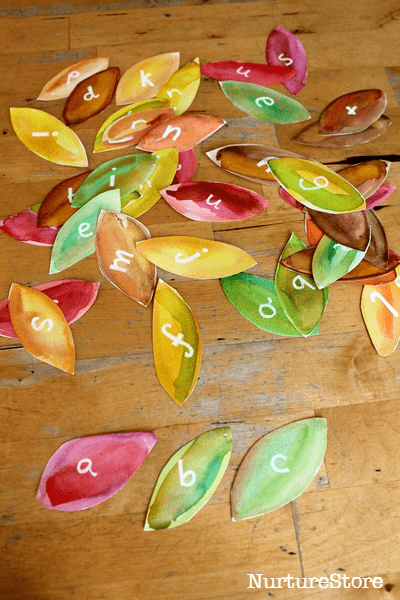 This watercolour autumn leaf alphabet is a pleasure to create and great for lots of hands-on alphabet sorts, letter learning and spelling games. I want the materials we have for our learning to be a pleasure to use. 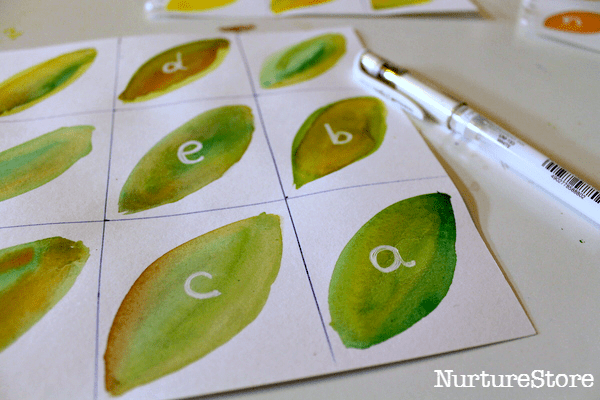 This watercolour leaf alphabet is very easy to make and the paint effects created are beautiful. 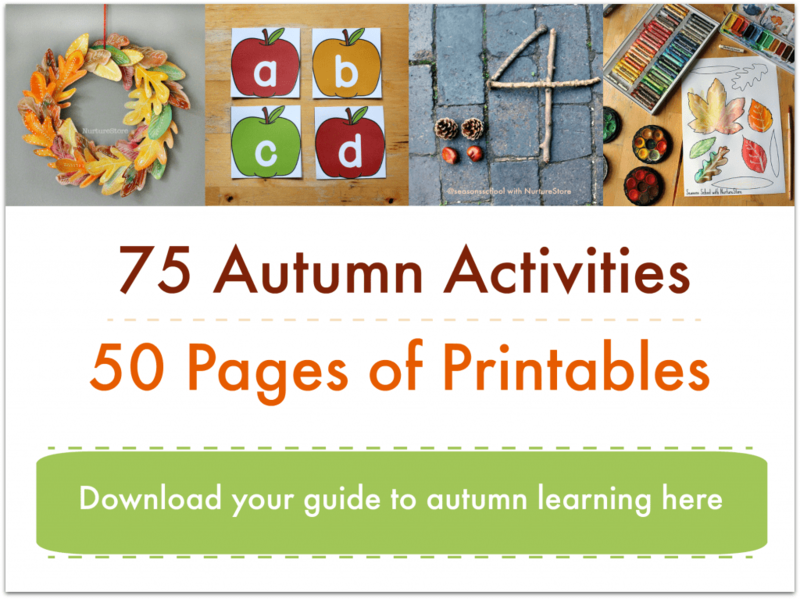 We included lessons about nature, the seasons and art in making our leaves and now have a gorgeous set of tactile alphabet cards to use for a variety of spelling games throughout the season. To make the leaf alphabet we used pages torn from our art journals. 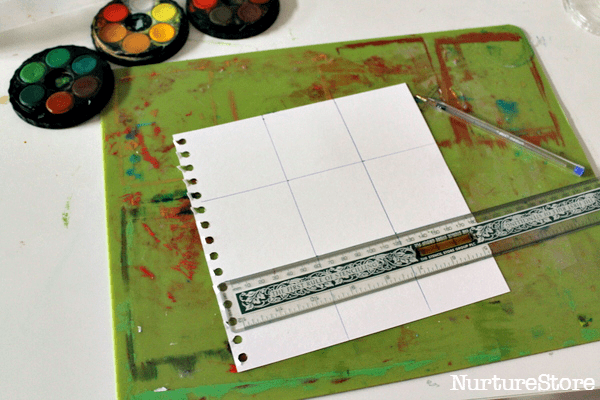 I wanted the leaves to be fairly consistent in size so marked out a guiding grid on each page. Then we used watercolour paints to make our leaves. 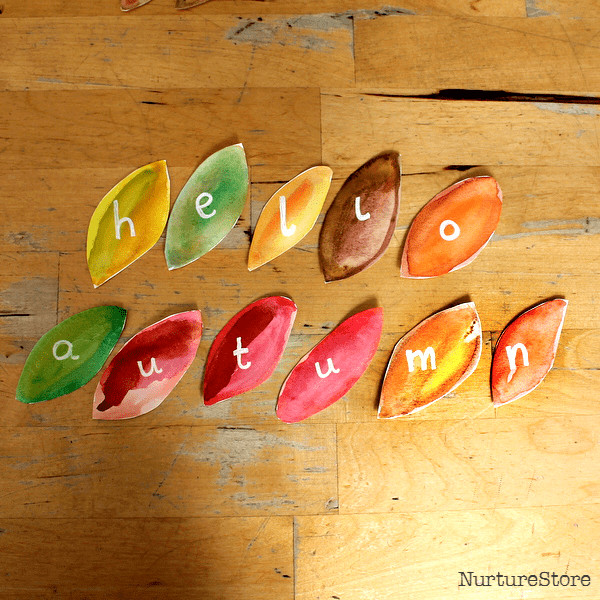 We’ve been spotting signs of autumn on our evening nature walks and we’ve collected some leaves for our nature table. We talked about the different colours we can see, why leaves are green to begin with, and how and why they change. 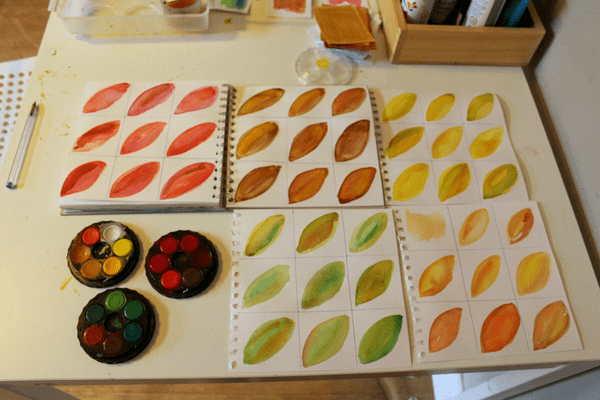 Then we used watercolour paints to create our own leaves. We used a simple leaf shape but you might like to copy the outlines of some of the leaves you have gathered on your nature walks. 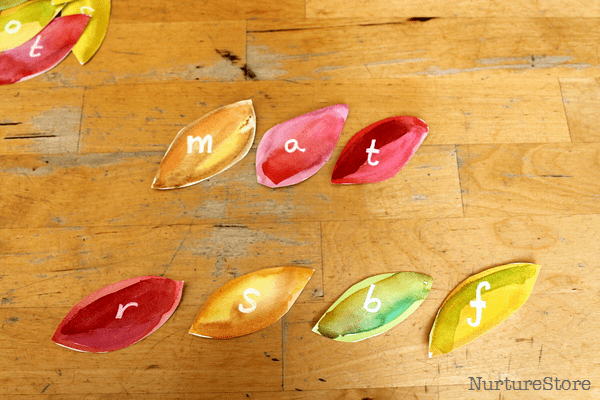 :: a family or class can collaborate to create a large set of alphabet cards. You might decide to have each person focus on one colour. The watercolours combine beautifully, with their watery nature flowing different shades together to create patterns and blends on each individual leaf. Deciding to focus on creating a set of ‘green’ leaves becomes a study in shades and hues and can generate lots of thoughts and chat on what colour ‘green’ is. :: Your child might write on the letters themselves. :: You could write on all the letters – especially if you are going to be using them for lots of spelling games and you want your children to see the correct way to write the letters. Then we cut out our leaf alphabet and we’re ready to play. 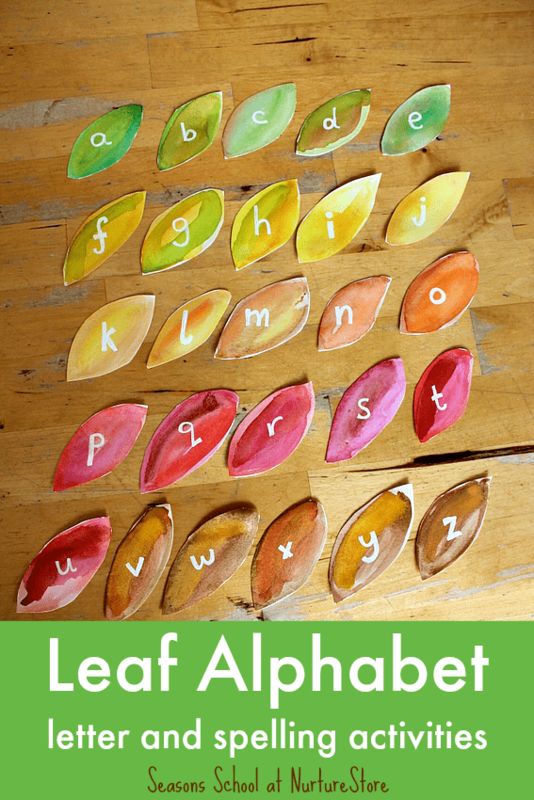 :: use the leaves as an alphabet set to work on your spelling words. Rather than only writing out spellings on paper with a pencil, incorporating lots of different hands-on, visual spelling games can really help children learn to spell. Really pretty, I’m going to set this up. Thank you for sharing.